Hey guys. I decided to check out the Pokemon anime by watching the first episode of the new Black and White season. I watched most of the original Kanto series and some of the Johto long time ago, but haven’t caught an episode until now. This episode introduces Ash Ketchum as he sets out with his mother and Professor Oak to the Unova region. As soon as they arrive, Ash’s number one buddy Pikachu is ambushed by Team Rocket. Shortly after, a mysterious dark cloud forms and reveals Zekrom. Zekrom unleashes lightning and Pikachu seems to behave like an electrical conductor. The thunderstorm clears and everything and everyone seems fine. Professor Juniper, a Pokemon professor of Unova, appears and gives Ash and his party a ride to her research lab. On the way, we are treated to scenes of Unova Pokemon. At the lab, Professor Juniper runs some tests on Pikachu. While Pikachu is busy with some tests, Ash explores the rest of the lab. He runs into Trip, a brand new trainer, and watches him choose a starter Pokemon. Ash and Trip strike up a conversation and one thing leads to another and they have a Pokemon battle. The episode ends with Zekrom returning over the laboratory, leaving an ominous tone. When the narrator introduced Ash as a 10-year old boy, I was intrigued and thought the new Pokemon Black and White series would be a reboot of the anime. However, we do see Pikachu and very early into the episode we realize it’s a continuation indeed. Am I the only one that thinks that it’s strange that Ash is 10 years old? I believe Black and White is the 14th season. My, oh my, young Ash has lived a very exciting life! I really would have enjoyed seeing an older Ash. It would be cool to see him pursue romantic interests and become more mature as he continues his quest to become the Pokemon Master. After losing the race, Squitle and Bulbasaur are in a bad mood. A somewhat worried Pikachu still tries to make peace, but as usual, no one is listening. Raichu looses electricity from its cheeks, scaring Togepi who beings to cry out of fear. Pikachu then comes to protect it, but get zapped in the tail! The gang start laughing at Pikachu , but now, Pikachu is angry, and, with Raichu, they begin doing a mad cheek to cheek race all around the Pokemon Plaza, paying no attention at all to their surroundings. They run and break a bush labyrinth while running straight. Meanwhile, Team Rocket sent out their Pokemon, too, and just as Meowth was going to fall asleep, the two electric mice send Arbok, Weezing and Meowth in the air! They also hit Hitmonlee and Hitmonchan the same way and they both got knocked out with a ‘Ding, ding, ding!’ sound. Charizard is then seen snoring loudly, with its tail on the road. Uh-oh… Pikachu and Raichu still runs fast and step on Charizard’s tail, waking it up with an intense rage! The large dragon soon get in front of the electric mice and blast then away with its powerful wings. They land on a Snorlax, and also get crushed by it. Charizard starts flying without looking where it goes, destrop a part of the park and get its head stuck in a pretend igloo! Meowth tells Charizard to be quiet, but get burned instead! A rope is tied around Charizard’s leg, and everyone starts pulling as mush as they can. But even with all their strength, they aren’t enough strong and get carried away when Charizard stomps the ground with the leg with the rope. Marril, Snubbull, Raichu and Cubone watch and laugh while Charizard is crying. Pokemon is awesome and it always will be. Did you know that in the first games Red and Blue (Green if Japanese) the player you are is named Red. Did you know Red has an anime counterpart? His name is Ash, Ash Ketchum. In Pokemon episode one, Ash Ketchum has been on the screen. And now the anime is in the six hundreds, Ash’s clothes and voice might have changed but he is still Ash! Ash grew up in Pallet Town, a small down in the Kanto region. This town also has Professor Samuel Oak’s Pokemon Laboratory. In there you can get a fire type Charmander, grass type Bulbasaur or water type Squirtle. On Ash’s first day he overslept and wasn’t able to get one of the above starters. So Professor Oak gave Ash a Pikachu. This Pikachu is still wild at the time and shocks Ash and ignores him the entire time. Pikachu wouldn’t even battle for Ash at the start. Ash had to throw rocks at the Pokemon he wanted to capture. He agitated a Spearow and Ash basically just ran from them. Pikachu was injured and needed a Pokemon Center so he can be healed. Ash hurried and stole a bike from a girl named Misty. He came close and the bike slipped. Ash then stood up and was willing to take the hits to protect Pikachu, but Pikachu got up and ran to his shoulders and shocked all the Spearow, also destroying the bike. And that is basically the first episode of Pokemon. Are Cilan And Iris Good Supporting Characters? Cilan and Iris and two supporting characters in the new Pokemon Black and White series or Pokemon Best Wishes (Japanese). I personally only watch the Japanese series, however I doubt there is much difference between the two in terms of their lines. In contrast to the effectiveness of the supporting characters in the last few series, I believe that Cilan especially has carried out his role sufficiently well. When I first saw Cilan, I thought he would be a bore, his role in this series progressing towards his aim of being a Pokemon Sommelier, but as the time passed, this notion changed rapidly. He indeed plays a large role in many of the episodes, especially that which involves all sort of activities such as fishing, watching movies and investigation. He brings up much comic as well being “Sommeliers” of all sorts and this is evident especially in the episode as Iris and Cilan aims to solve the mystery of the haunted museum . He attempts to prove his scientific method correct by making all sorts of nonsensical claims with regards to science making him seem brilliant but it is all just exaggeration. Thus, his ability to bring comic to the series is something much of the other supporting characters are not able to do. The plot development of Ash is clearly linked with that of Cilan, being the first Gym leader he defeats as well as Cilan teaching him much of the new Unova region. However, Iris on the other hand, doesn’t seem to contribute much. The most common line would probably that Ash is so childish and this is constantly repeated throughout the many episodes, making her a really boring character. The only thing amazing about her is probably her athletic abilities of tree hopping which really nobody can compete with. Chimchar had a rough time with Paul. He was regularly abused up to the point of his abandonment, though Paul still made harsh comments about Chimchar when Ash decided to have him. Chimchar was a great Pokemon in the Pokemon Diamond and Pearl series; it’s unfortunate that Chimchar had to suffer throughout the anime. Chimchar was first met when Paul was strolling along a route and he saw a wild Chimchar being chased by a horde of vicious Zangoose. Chimchar fled as fast as he could until he was stopped by the dead-end of a cliff. It is there where Chimchar unleashed his full power. Paul was watching Chimchar as he dodged the Zangoose’s attacks. Chimchar was so afraid and tormented that he had no choice but to fight back. Chimchar used flame wheel and sent out a fury of flames rapidly spinning around in a spiral. The Zangoose ran away quickly and Chimchar remained in the centre of the ash and flames. Paul realised Chimchar’s power and walked up to Chimchar, asking if Chimchar would like to go with him. Chimchar was part of Paul’s team. He was shown battling with Paul many times in the anime but most of the time he lost. Paul was getting frustrated with Chimchar as he had never repeated his true power that he unleashed when fighting the group of Zangoose so he criticised it for being weak. Paul regularly tried to get Chimchar to show his power again so he tortured it by making it fight stronger Pokemon that were too powerful for it to defeat. Paul’s idea of training Chimchar was seriously wrong. He even made his Pokemon team attack him in hopes of re-creating his true power. Ash saw what was going on and explained that it was wrong and not the right way to treat Pokemon but Paul ignored this. Paul wouldn’t even send Chimchar to the Pokemon center when it was injured as he didn’t care for it. Pokemon Black and White or ‘Best Wishes’ is the newest season of Pokemon. If you have not watched this before then I urge you to as you will not regret it. 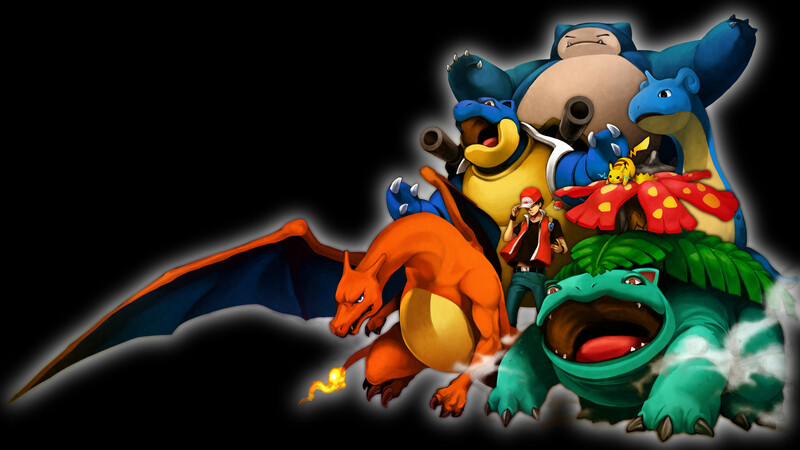 This series greatly surpasses the others as it includes amazing animation, better characters and many more Pokemon. The first episode was very exciting. Ash decided to travel to the Unova region. When he gets there things suddenly begin to go wrong. A giant thundercloud gathers over the blue sky and Pikachu’s electricity powers do not work. Pikachu has to be contained in a special machine so Ash and the professor can monitor its health. Ash meats all the new starter Pokemon and even meets his rival, Trip. At the end of the episode we discover that the thundercloud was actually caused by Zekrom, the legendary Pokemon. Later on, Ash meets his new friends, Iris and Cilan. These two characters are entertaining and unique as they both have detailed back-stories and Pokemon that suit them, although Iris can be a bit annoying at times. The only other bad thing I can say about the characters is that they sometimes interrupt each other so it can be hard to tell what they are saying. The art is beautiful. The Pokemon look realistic, frequently moving instead of standing still. The backgrounds also look great, providing a frantic atmosphere to the anime. This is my favourite episode in the Diamond and Pearl series of Pokemon. I enjoyed it so much as it features my favourite Pokemon, Piplup! The bond between Dawn and Piplup has greatly grown since Dawn first started out on her adventure and this episode goes through some recaps but shows how much they have both grown. The episode mainly focuses on Piplup. He doesn’t want to evolve because he cherishes the memories he has with dawn. Over the episode he forces himself not to evolve by constantly using bide. This leads Piplup to get tired easily and he ends up in a Pokemon centre. He looks so cute sleeping in a bed! Dawns is worried about Piplup and doesn’t understand that Piplup does not want to evolve. When Piplup looked in the mirror and saw itself as a Prinplup it made me realise how ugly his evolutions were and how special Piplup is as a Pokemon. His stubborn and humorous attitude still continues as he occasionally flails his arms around in the air and runs away from Dawn. The moment when he is sitting under a waterfall trying not to evolve is my favourite, it shows how cool and determined Piplup is. Dawn, being Dawn, still does not understand that Piplup does not want to evolve and it takes him to be captured to finally get the message. Team Rocket cause havoc in a giant machine, shaped to look like a Prinplup, by capturing Piplup and Prinplup and trying to catch Empoleon. Last episode, we left off in the middle of Ash’s first gym battle against the triplet gym leaders. He won the first round against Chili, but lost the second to Cress, meaning that his victory lies on Oshawott, the water type beating Pansage, the Grass type. Although with the last episode ending when Pansage fires off a Solarbeam, it doesn’t look too good for the poor otter. Introductions aside, it’s time for a play-by-play review. Warning, the following WILL contain spoilers. I recommend you watch this series on your own, but if you’re in a hurry, want another opinion, or just don’t feel like watching, this will be quick, and to the point without losing the details. Two starters in a row. I think we can all tell what comes next! First the water typed Oshawott, and then the fire typed Tepig, all that’s left is the grass typed Snivy. But that’s something for another episode. Last time, Ash entered a town, thinking it was Striaton, only to find that it was actually the Gymless Accumula. This episode, we waste no time, and see that it is in fact Striaton he’s seeing. Looks like we’re in for a gym battle! Introductions aside, it’s time for a play-by-play review.